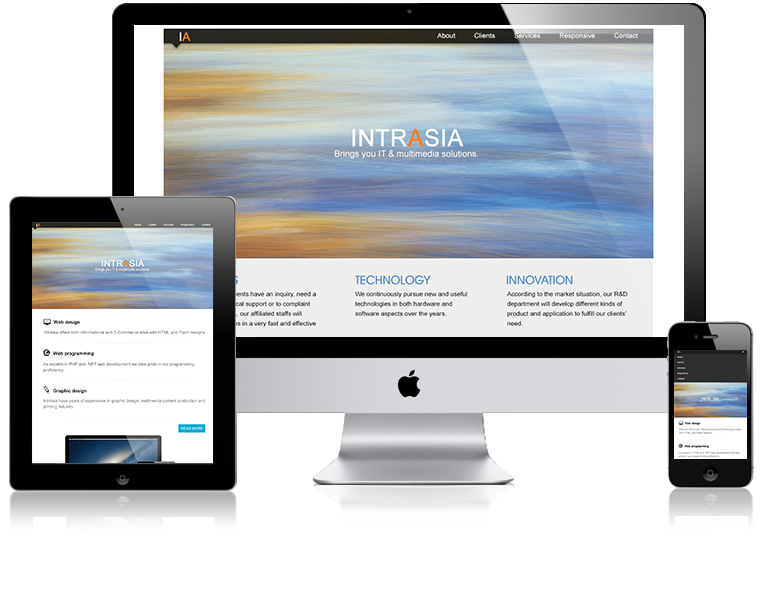 Intrasia-Brings you IT & multimedia solutions. No matter you are using smart phones, tablets, notebooks or PC, website that using responsive design can ever bring you the best browsing experience. In mobile devices, instead of complicated actions like zoom-in/out and scrolling, the only thing that you need to browse the website is just sliding. What you see is not what you think.Unlike the traditional way, we embed different sense of beauty layouts into your website and make it more distinctive. The way we are doing is native for the compatibility of different devices. Today, we see the future.The users of mobile devices will exceed PC since 2014. Furthermore, peoples are more likely to use tablets to shop through internet than PC. Obviously, the success or failure of a website will heavily depend on its performance in mobile devices. 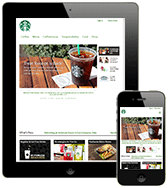 Who are using responsive design ?Starbucks® is conscious of the fact that more and more peoples visit their website through mobile devices. 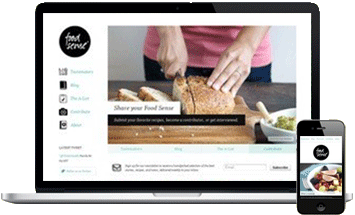 Instead of the traditional way to browse by zoom in/out and scrolling, they adapt responsive design to their official site. © 2013 INTRASIA INFORMATION TECHNOLOGY COMPANY LIMITED.